Last Friday, Apple released iOS 12.1.4 that designed to fix serious security vulnerabilities. In addition to fixing security vulnerabilities in FaceTime group calls, it also fixed a “memory crash” and a malicious code to get kernel priority, as well as live photo vulnerabilities. 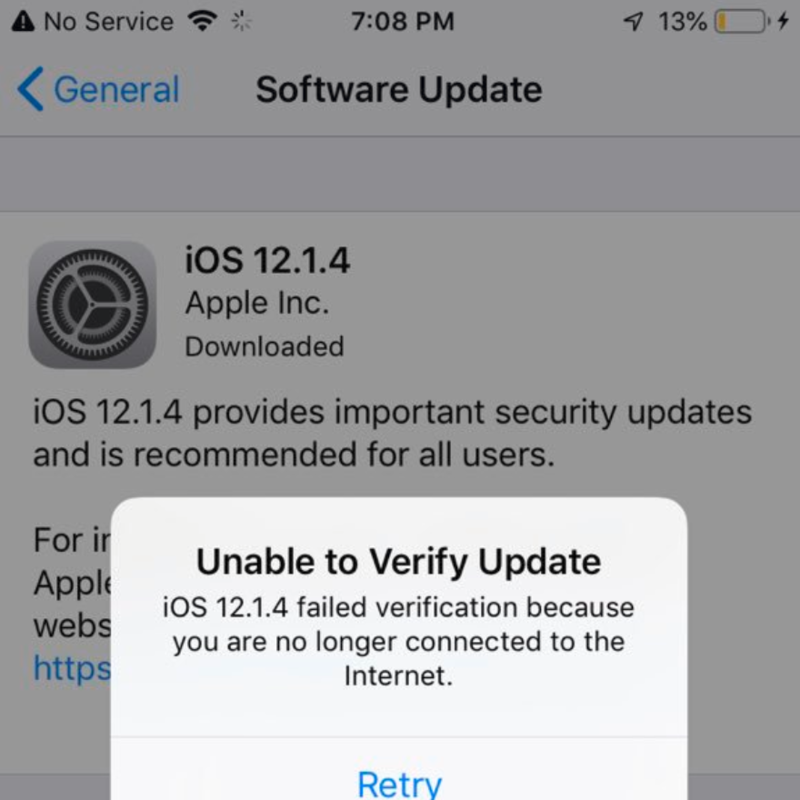 However, according to many upgraded users, upgrading the 12.1.4 version caused SIM card recognition failure, loss of WiFi connection and other network connection problems. Forbes also reported many other user reactions, including the 12.1.4 upgraded iPhone device AirPods, Touch ID and voice memo, and the degradation of cellular signals. These users have never experienced similar problems before upgrading.